Mubychem Group, established in 1976, is the pioneer manufacturer of Sodium Phosphate, Pharmaceutical, Fragrance & Flavor chemicals in India. Mubychem Group has several manufacturing facilities spread across Gujarat and Mumbai India and world wide contacts and toll manufacturers. We are exporting globally to countries like USA, Europe, UAE, South Africa, Tanzania, Kenya, Egypt, Nigeria, Uganda, Turkey, Mexico, Brazil, Chile, Argentina, Dubai, Indonesia etc. 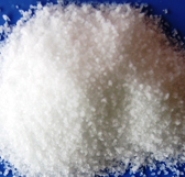 Dibasic Sodium Phosphate is dried or contains one, two, seven, or twelve molecules of water of hydration. It contains not less than 98.0 percent and not more than 100.5 percent of Na2HPO4, calculated on the dried basis. Identification— A solution (the equivalent of 1 part of Na2HPO4 in 30) responds to the tests for Sodium and for Phosphate. Loss on drying— Dry it at 130 to constant weight: the dried form loses not more than 5.0% of its weight, the monohydrate loses between 10.3% and 12.0% of its weight, the dehydrate loses between 18.5% and 21.5% of its weight, the heptahydrate loses between 43.0% and 50.0% of its weight, and the dodecahydrate loses between 55.0% and 64.0% of its weight. Insoluble substances— Dissolve the equivalent of 5.0 g of Na2HPO4 in 100 mL of hot water, filter through a tarred filtering crucible, wash the insoluble residue with hot water, and dry at 105 for 2 hours: the weight of the residue so obtained does not exceed 20 mg (0.4%). Chloride— A portion equivalent to 0.5 g of Na2HPO4 shows no more chloride than corresponds to 0.42 mL of 0.020 N hydrochloric acid (0.06%). Sulfate— A portion equivalent to 0.1 g of Na2HPO4 shows no more sulfate than corresponds to 0.2 mL of 0.020 N sulfuric acid (0.2%). Arsenic— the limit is 16 ppm. 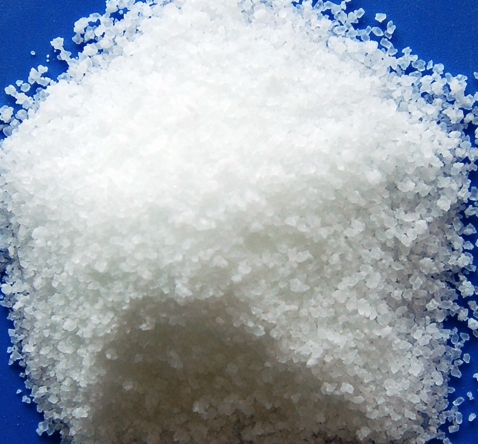 Sodium Phosphate, Dibasic, occurs as a white, crystalline powder or as granules. It may be anhydrous or contain two molecules of water of hydration. The anhydrous form is hygroscopic. 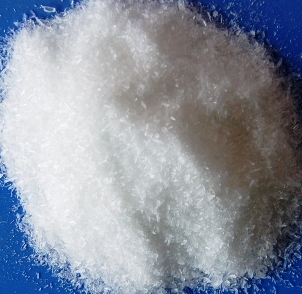 Both forms are freely soluble in water and insoluble in alcohol. Function: Emulsifier; texturizer; buffer; nutrient. Assay: Not less than 98.0% of Na2HPO4 after drying. Loss on Drying Anhydrous: Not more than 5.0%; Dihydrate: Between 18.0% and 22.0%.